Aerial view showing the site of Willington Quay Station. Station Road is at the bottom (left of centre). 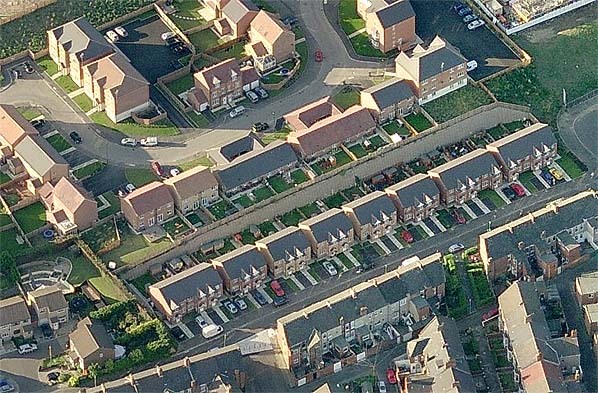 The two rows of houses in the centre of the picture are at different levels, separated by a high wall. The gardens on the upper level are on the site of Willington Quay Station.